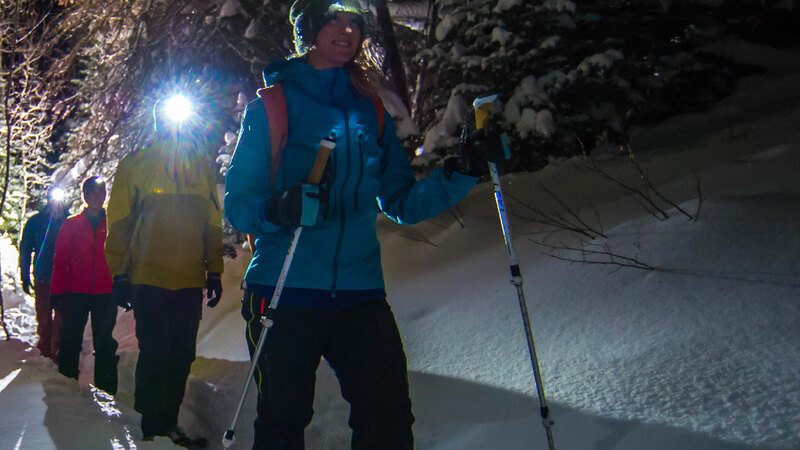 Snowshoeing in the mountains at night is a one-of-a-kind experience. You'll walk across open meadows and through snow-covered evergreens. The darkness and moonlight atmosphere makes this experience almost surreal. Prior to the day of the tour, your guide will contact you to find out what sort of tour you're looking for, plan a customized route accordingly, and tell you where to meet. It's that personal touch that makes our snowshoe tours a true local experience, and keeps people coming back year after year. Since this is a one-to-two hour tour, we suggest enjoying dinner at one of Park City's many restaurants on historic Main Street afterwards.